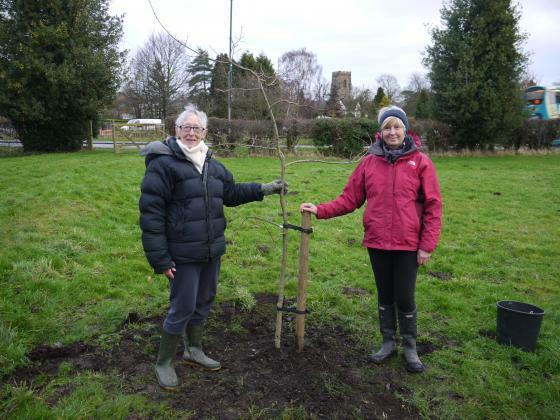 Marion and Anita with the newly planted Rothley Diamond Jubilee Tree "Goscote Oak"
To celebrate the Diamond Jubilee of Queen Elizabeth II Rothley Parish Council agreed to plant an Oak in the Donkey Field. 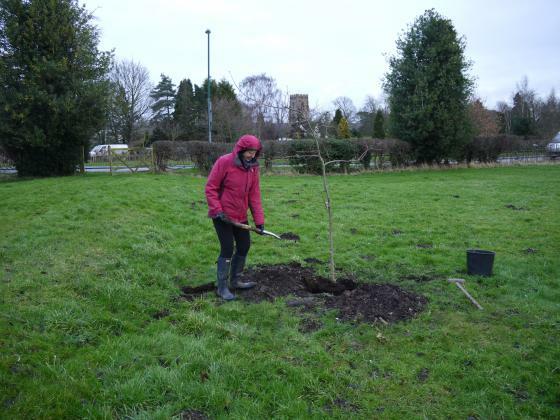 This was done in May 2013, without ceremony, and the tree died during that year. 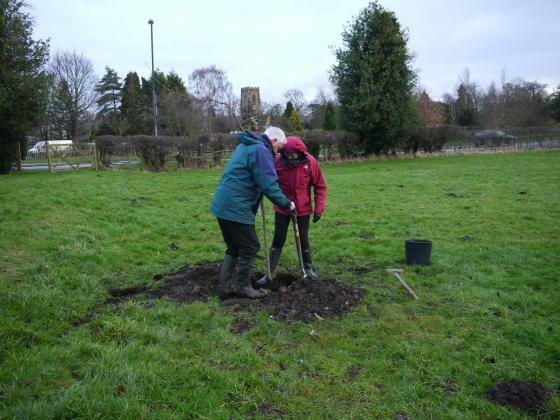 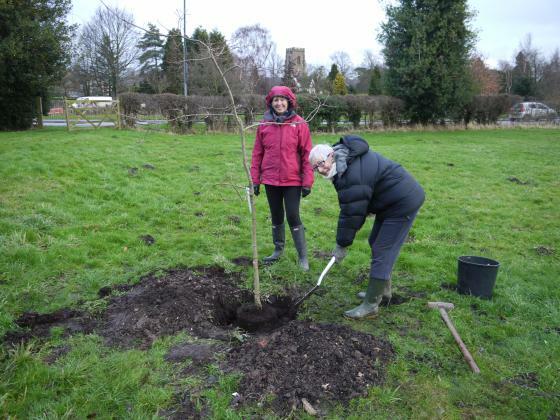 The matter was taken up by Marion Vincent, Natural History Heritage Warden for Rothley, who agreed to organise a replacement with the help of Anita Armstrong, Tree Warden for Rothley. 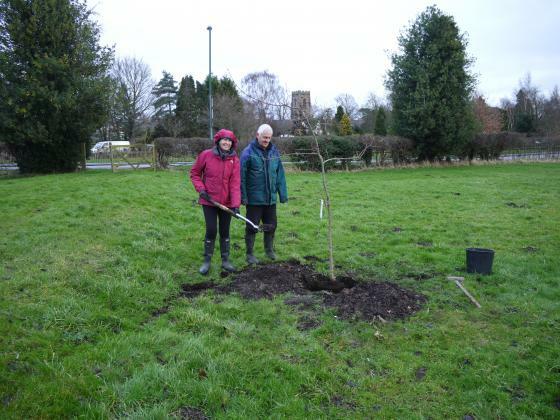 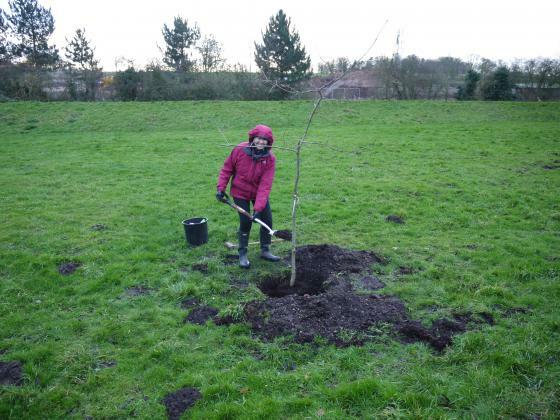 They both paid a visit to Goscote Nurseries, Cossington, on the 10th January 2014 and arranged for a 'Goscote Oak' to be delivered for planting the following week. 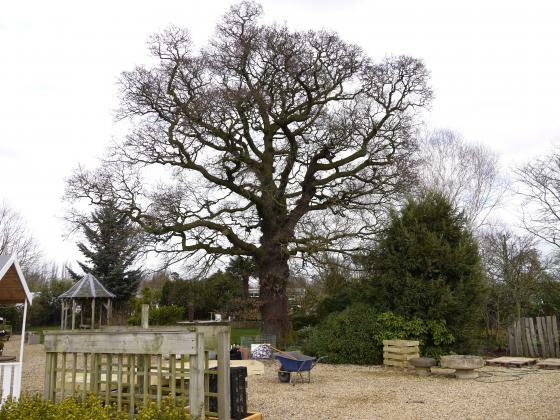 This oak is an offspring of the major oak growing in the gardens of Goscote Nurseries so its origin is known. 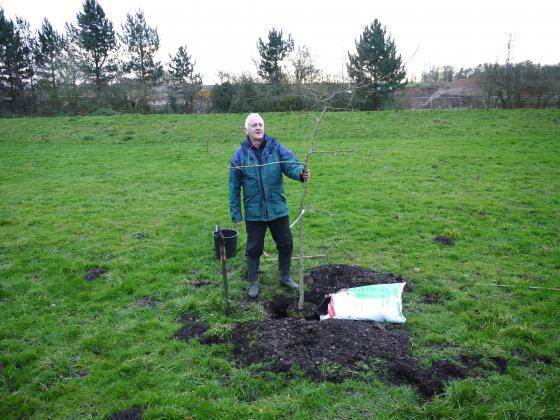 Steve Mitchell visited the Donkey Field during the week to remove the dead oak and prepare the site for the new one. 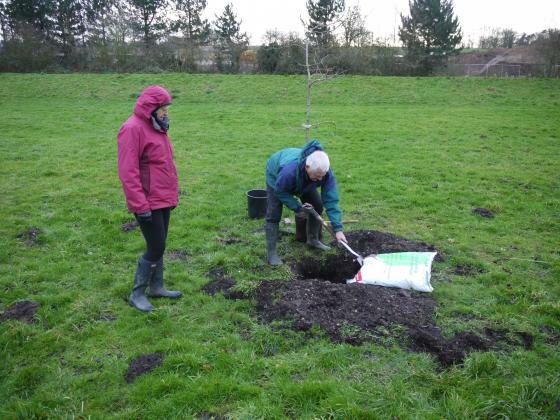 The weather forecast was good for tree planting with rain forecast for the weekend ahead. 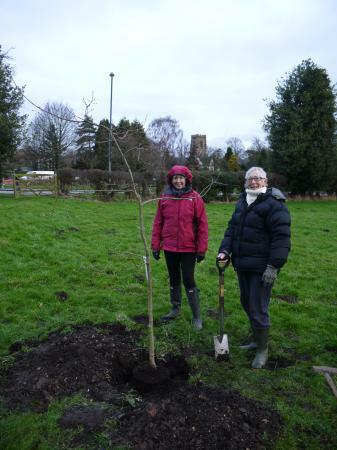 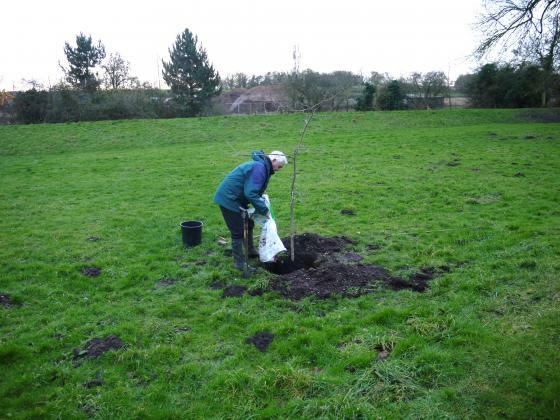 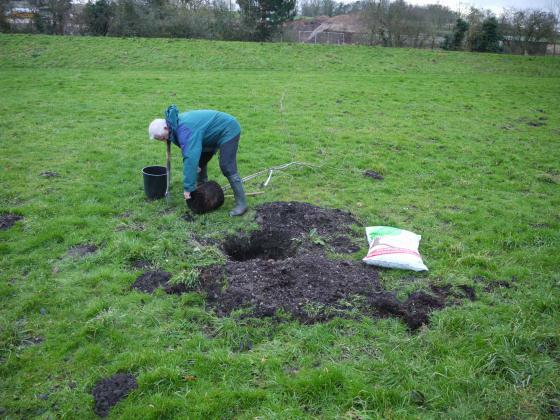 The tree was delivered at 08.15 on Friday 17th January 2014 together with a large bag of tree compost. 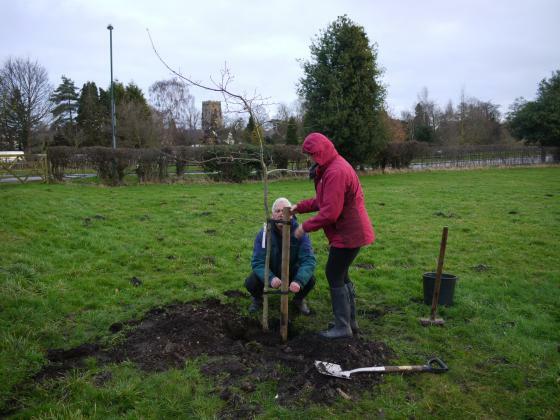 Steve was the 'official' planter with Anita and Marion there with encouragement and the camera. 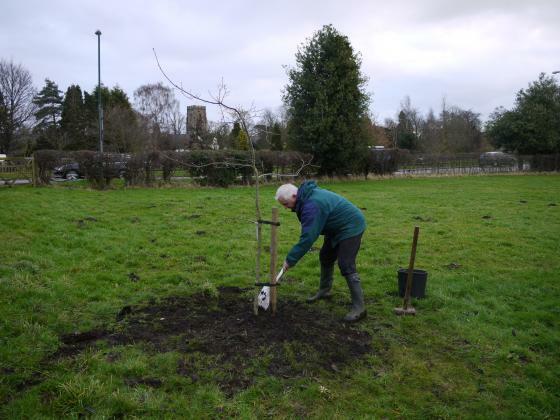 The planting of an Oak for a special occasion should always be recorded as this tree should be there for generations to come and in 300 years time someone might ask its origins!